In response to a request from the National Science Foundation (NSF), the National Academies of Sciences, Engineering, and Medicine appointed an expert committee to help determine whether the federal government should fund research in the social, behavioral, and economic (SBE) sciences at NSF. Specifically, the committee was asked to examine whether SBE research furthers the mission of NSF and those of other federal agencies and advances business and industry. 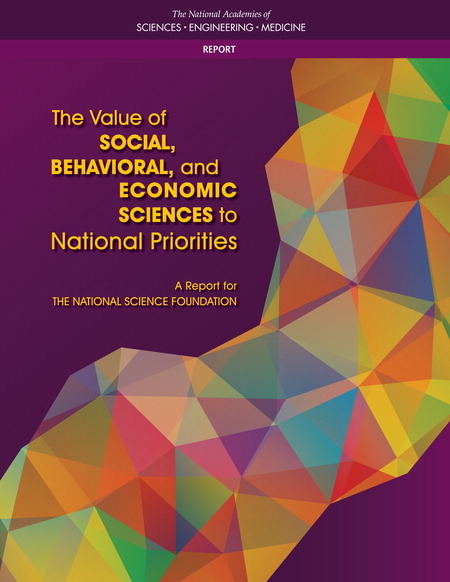 In its report, the committee concludes that the social, behavioral, and economic sciences advance the missions of NSF and other federal agencies and serve well many of the most important needs of society. SBE research also can be applied to business and industry and has enhanced the U.S. economy. The report also offers recommendations to better enable SBE research to meet the nation’s priorities—for example, urging NSF to undertake a strategic planning process to articulate the most important scientific questions in SBE disciplines and to prepare the next generation of scientists to be more data intensive, interdisciplinary, and team oriented. NSF should also undertake more systematic efforts to communicate the results and value of the SBE research it supports. Members of the committee will present key findings followed by Q&A with the audience. A panel of experts will offer brief commentary and engage in a roundtable discussion with committee members about the report recommendations, followed by general audience discussion. This event will be webcast live—the webcast will be available on this page on the day of the event.